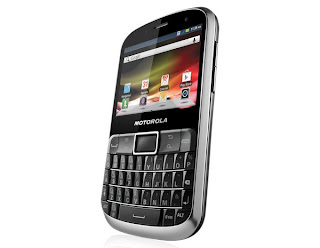 For those of you who might be a bit clumsy with your electronics and have been looking for a Blackberry inspired Android smartphone well look no further than the Motorola Defy Pro. It sports a 2.7-inch 320 x 480 HVGA display with Gorilla Glass, Android 2.3 Gingerbread, 1 GHz processor, 5 megapixel camera with LED flash and front-facing VGA camera, 1700 mAh battery, 12 hours continuous use time, 13.5 days standby, IP67-certified (totally protected against dust, protected against immersion between 15 cm and 1 m). While we aren't huge fans of it launching with Android 2.3 at this point, the phone is clearly aimed at a specific clumsier demographic and perhaps the tweener who can't live without a QWERTY keyboard. 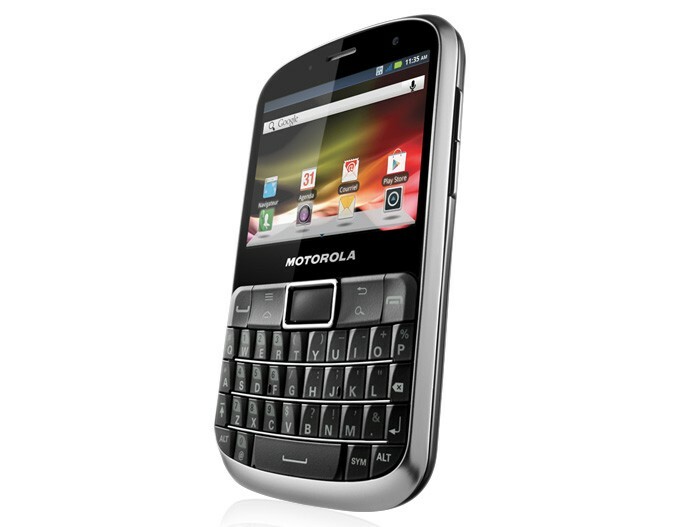 That being said, at $275 off contract and $0 on three year contract, we can see this being a popular alternative to the popular Bold 9900. We'll try to bring you a review as soon as possible.